Nutritionist, Nadia Felsch, shares her healthy meal prep ideas. 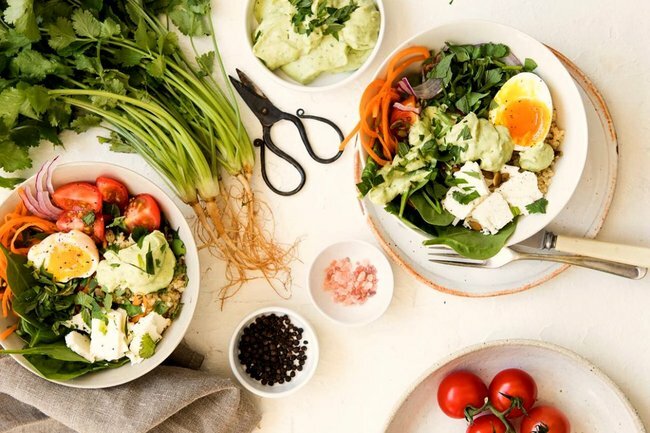 A nutritionist takes us through exactly how she does her weekly meal prep in 7 easy steps. I feel like I have talked endlessly on social media and with clients about the power of food prep. A better option than coming home ravenous and over it to an empty fridge, lacking inspiration and, let’s be honest, wanting virtually anything that doesn’t require effort. My food and nutrition philosophy is very much centred around how you want to feel. For me that means I want to feel three things – energised, satisfied and unstressed. Which means prepping food that I love and that serves me well. So although sometimes my life does look like takeaway sandwiches, limp AF salads and Uber Eats delivery (yes I am human) and that’s inevitable for us all, food prep changes everything for the better. 1. Consider what my upcoming week looks like. To make it as easy as possible for myself I choose a maximum of two breakfasts to eat throughout the week. This is frequently overnight oats/bircher muesli, easily switched up with different nut and seed combos or simply by adding different fruit. I also love having bread on hand to eat with avocado and eggs or peanut butter and banana. 3. Decide which meals I’d like to eat for the week. Using step 1, I jot down which meals, other than brekkie, I plan to eat for the week. Starting big and working backwards is what speeds the next steps up so if I decide on spaghetti bolognaise or burrito bowls for midweek dinners, I know that these recipes will last three days in our house. This now means a) less prepping and b) a shorter shopping list. If I decide I want roast vegetables to easily add to salads and other meals that are made-to-serve, I’ll roast an entire tray and store in airtight containers in the fridge. Snacks are no different. 4. Write the shopping list. The key to success is actually writing the shopping list. I use notes on my phone or Excel if I’m on my computer. And making it even easier (and less wasteful!) starts by assessing what I already have vs what I need to stock up on. I take my meal list and list which ingredients I don’t already have at home. I do my food shopping in a variety of stores and so will break up the shopping list accordingly. Produce, butcher and deli lists for instance. I also group ingredients together for ease – all the fruit and vegetables grouped together, dairy foods, meats etc. Five to 10 minutes of list making = stress-free shopping and not forgetting what I need! I don’t have a set day to shop – instead I shop when motivation is high and hunger is low. Shopping when hungry = disastrous. I take my list, my bags and/or jars and preferentially shop when stores are quieter and produce is more abundant. Shopping day(s) also fall when the fridge is bare and there’s space to fill it once more which is of particular importance in my small kitchen with my tiny fridge! I also choose to shop pantry essentials such as brown rice, olive oil and nuts at a bulk store where I take my jars or bottles and refill them. 7. Prep in priority and with Netflix. There’s no best order to food prep in. The way that works is the best way. However grouping jobs together and doing longer jobs first, makes the best use of time. So if I’m doing a batch of roast vegetables, I’ll turn the oven on ASAP to preheat whilst I’m chopping. I’ll also see if there’s anything else that needs the oven, like the loaf I eat for brekkie, this banana bread I like for a midweek snack or the baked chicken I add to easy lunches and raw nuts that I toast myself in bulk every month. This same theory goes for the food processor and any jobs it’s needed for. I’ll make raw cacao protein balls followed by hummus and enough quantity that those foods are prepped for at least a week if not two! I don’t always food prep once per week. It’s always reflective of what’s achievable for me and what I’d suggest to anyone else. Inevitably however, a food prep will see me prep 1-2 wholegrains i.e. brown rice and quinoa which covers meals for an entire week and that I can easily add to lunches/dinners as I go, in addition to a dozen hard boiled eggs which might be eaten at breakfast with toast and avocado, in a delicious lunch as my protein source or as a snack with salt and pepper when I really couldn’t be bothered. Nadia Felsch is the brains behind the popular Wholefood Society mixes, a recipe developer, photographer and blogger at nadiafelsch.com. 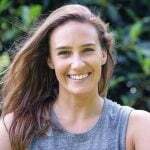 She’s also just completed her Bachelor of Health Science in Nutrition and is available for consultations, which you can find out more about here. Foodie tip… don’t use the microwave when you’re reheating these five foods. Your taste buds will thank you.